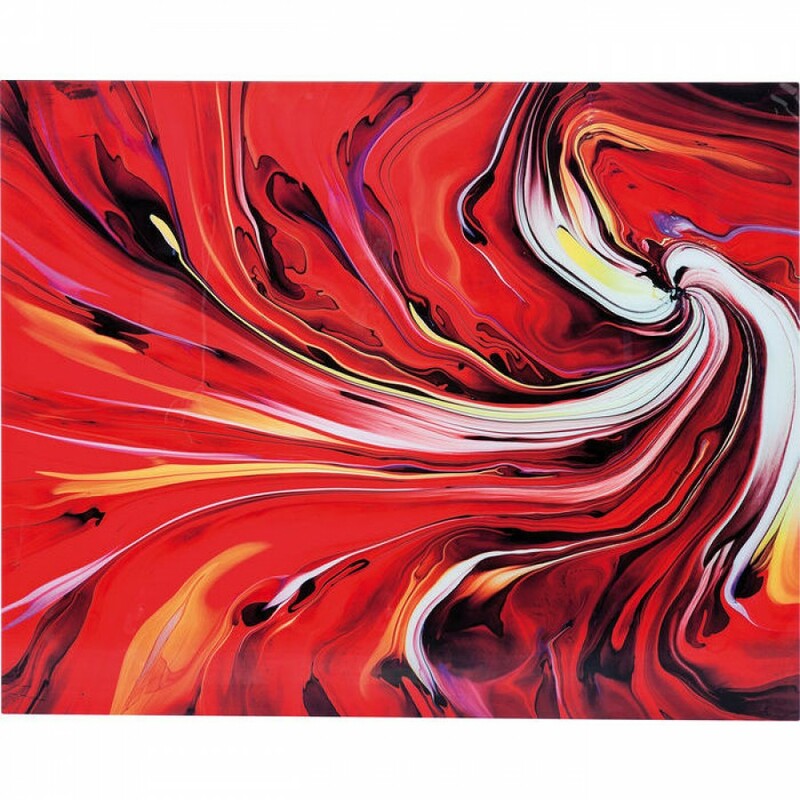 Passionately dynamic - A picture in expressive colours, creating a riot of passionate red. Chaos Fire really lives up to its name, with luminous colours which create a lively and dynamic aura in combination with its organic forms and atmospheric transitions. The colours are made more brilliant by the fact that they are applied to hardened glass. The picture will enhance the room with its expressive force and is nothing less than a firework display of powerful colours, artistically arranged! Also available in other versions.